In my small time i have here left I want to help humanity as much as I can everyday. Good show. Pretty discouraging at times. But I'm staying strong. Religion can also mean RE-LEGION. more soldiers, more wars, more killing of the population. wow , the list with listeners is growing per week. right energies in the right place. Thanks for all the work Thomas. Bulgaria is listening!!! 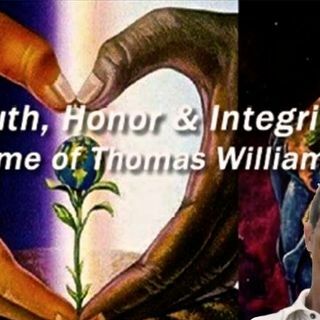 My heart appreciative Thank You Thomas Williams AlohaMahaloAloha! Night all! Enjoyed the company! Great show!Thanks Thomas,Kim,Holly and team! Thank you, Goodnight all. With love and blessings to all.